Historic Jamestowne is only nine miles from Colonial Williamsburg. Towards the South and West, on the banks of the James River. Yet the two settlements span one hundred sixty nine years of significant history. Jamestowne settled on May 13, 1607 began the English colonization of North America. Colonial Williamsburg, where in the spring of 1775 the colonists ran the British Governor out of town. There began Virginia's move to Independence along with the remainder of the thirteen colonies. Interestingly, both were governed by an elected represtetitive form of government. We visited both within a days time. We began our tour with a visit to Colonial Williamsburg and quickly realized that we would see only a small part of the city. This is a living history museum and every day would provide something new to explore. It is a nomadic lesson to learn, and to learn quickly. Do and see only what you can, and know that you will never do or see enough. Don't let that bother you. Understand that it provides the perfect excuse to return and visit again. Out tour began at the Governor's Palace. 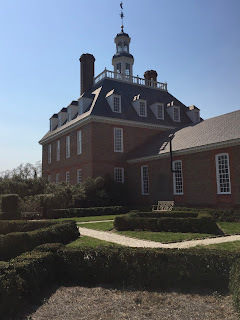 This house was the center of British rule in the Virginia Colony. Lord Dunmore was King George's representative. While Virginia was the largest of the colonies, Lord Dunmore preferred his original post in New York. New York was more developed, and more sociable than the more rural Virginia. He got in trouble when in the spring of 1775 he removed the gunpowder from the armory. The powder belonged to the King and the colonists were getting restless. The citizens soon ran the good lord and lady out of town, and began to gain independence for the colony. The palace tended to reflect the power and authority of the King, in many ways. 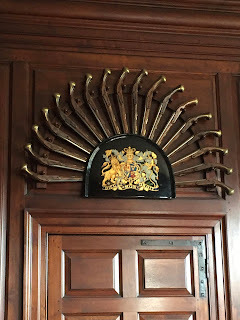 The weapons were for protection, but the appointments to the palace displayed status. 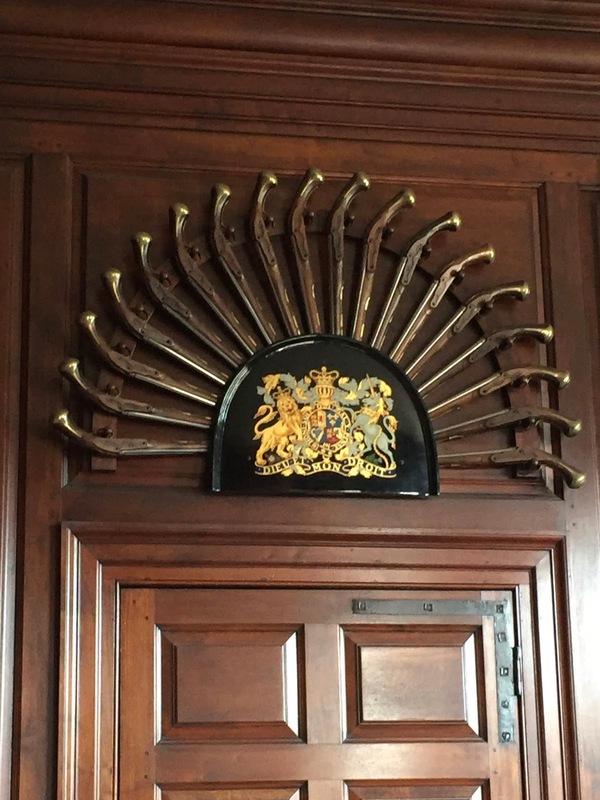 The palace stored the weapons, the armory stored the gun powder. With over 1000 muskets, pistols and swords, it takes caretakers over 5 hours to replace them all, when they are taken down for cleaning. They fill the entry hall, and stairway to the upper living quarters. Beyond the weapons, the real symbol of status was the red wall coverings, in Lady Dunmore's sitting room. Once the Dunmore's were run out of town, the Lady returned to Scotland. Lord Dunmore rounded up an army, and showed up for the fight.... about a month after Cornwallis surrendered to George Washington. After Lord Dunmore fled, Patrick Henry was elected Governor. While he moved into the palace, he put up the Lord and Lady's personnel possessions up for public auction. Just down the street from the Governors Palace, is the George Wythe House. Wythe was a man of enlightenment, he was a lawyer, professor of law, the first Virginian to sign the Declaration of Independence. He was a mentor to Thomas Jefferson, and hosted George Washington, among others at his home. The house is one of several original buildings in Colonial Williamsburg. It is a house where you can walk the same halls and climb the same stairs as the likes of Washington, Jefferson and Wythe. I enjoyed visiting the kitchen and watching the cooks whisk egg whites with a birch branch. I also liked watching, and talking with the Wheelwright as he worked in his shop. On the opposite side of the Duke of Glochester Street stands the Colonial Capitol. 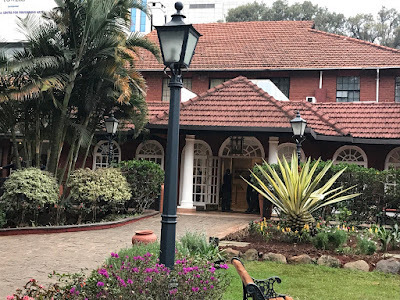 In this building, first the colonial government, and then the new independent colonial government did their work. 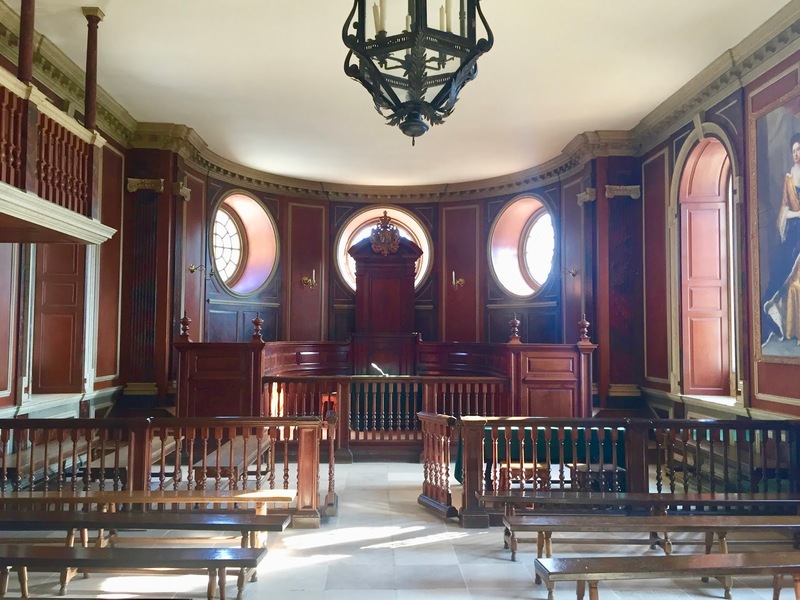 The building housed the House of Burgesses, The Governor, and the General Court. The building is the third that stood on the site. It was here, on May 15, 1776 that Virginia became the first colony to declare their independence. Under British rule, the Governor sat on the General Court as the Chief Justice. His offices were also in the Capitol and the Burgesses served at his pleasure. You see the problem here don't you? Much of that changed, for the better in the Spring of 1776. Walking up the Duke of Glochester Street, you pass period shops, homes, taverns, and tradesmen. I was interested in the Courthouse which sits about halfway down the street. This is also one of the original buildings. Built in 1770 it was used, as a courthouse, until the early 1990's. It was here that justices heard misdemeanors, and small civil claims. The more serious crimes and claims were heard in the Capitol. 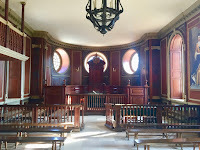 Two boxes stand at either side of "The Bar" and is where the Sheriff (standing in the left box) and his Undersheriff (standing in the right) kept order. Walking the streets here allows you to go back in time... if you ignore all of the people visiting the place. Though there is much to see, and not nearly enough time to see it. Once finished with Colonial Williamsburg, you can drive the Colonial Parkway to the Historic Jamestowne. This is where a group of about 100 men and boys established the first European colony in North America. This was primarily a business venture. Established to make fortunes for wealthy men back in England. The pioneer colonists needed to have the skills and daring to undertake such an adventure. At first it did not go well. Established as a fort, many of the early settlers succumbed to disease and the harsh conditions. Later they met their demise at the hands of the natives. Much of this site includes the graves of those unfortunate souls who did not survive the first years of the colony. A small and old church remains as a testament. It is sobering to make out dates on gravestones from the 1700's. Much of the park is busy with the excavation of these, mostly men an boys, and it is fascinating to read about how much they have learned about who was buried here, and what they know of them. It was also here that a troubled history began with the European's relationship with the Native Americans. 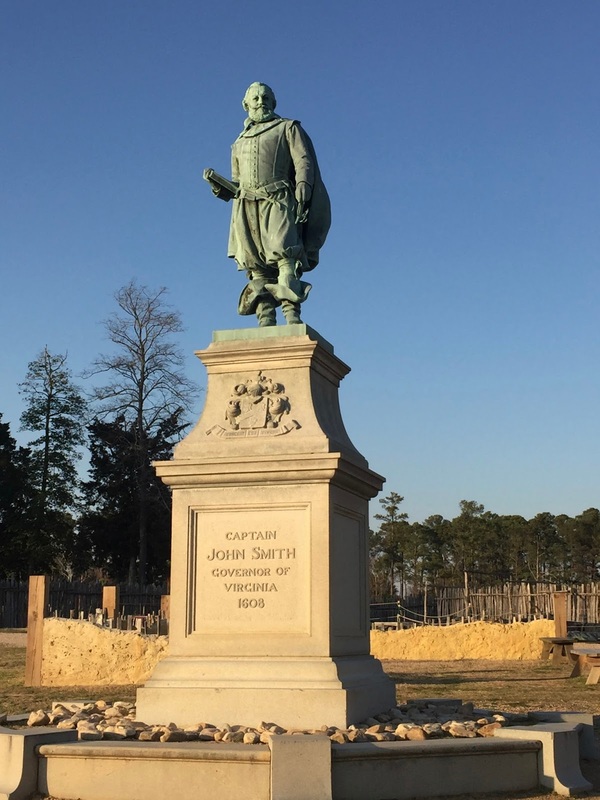 Captain John Smith credits Pocahontas with saving his life. She was the daughter of Powhatan, the principle chief. Later she was kidnapped, at seventeen years of age, later marrying her kidnapper. She was taken to London, to be presented to society. She died there at age twenty-one. It was in 1619 that the first Africans were recorded in the colony and marking the begining of English slavery in North America. Nine miles, and so many years. So much to think about. Our visit was only 10 years ago, but is on the shortlist of places to revisit. Such a cool place!